Texas Governor-Elect Will Sign Open Carry Into Law. Will Open Carry Groups Fade Away? The first major change to rifle scope optics technology in more than a century may very well be one of the most important things to hit the shooting world in ages. Sandia National Laboratory has developed a variable power rifle scope that changes magnification by changing the shape of lenses, rather than moving the lenses. This mimics the way our eyes change focus, requires very little power, and can be operated by pushbuttons – so you can zoom in or out without moving your eye, gun, or hand out of shooting position. Like so many other firearms-related developments, it came as a result of military desires. Taking one’s hand off of a rifle to change magnification slows down a shooter’s response time and may make him vulnerable to enemy fire. Sandia’s new RAZAR (Rapid Adaptive Zoom for Assault Rifles) was created as an answer to that problem, and it appears to have great promise. The system is very power-efficient, and will produce 10,000 actuations on a pair of AA batteries. It’s also very fast, requiring only about 1/4 of a second to change magnification. The speed and low power demand is largely due to the fact that the lenses don’t move towards or away from each other, as is normally the case in other variable scopes and cameras. Instead, a ring contracts or relaxes by means of a motorized screw to subtly change the lens shape. This can be done more quickly, and with much less electricity, than traditional zoom systems. Unlike camera-based rifle systems, a RAZAR scope can still be used even if your batteries die – although I presume it can’t be zoomed without them. 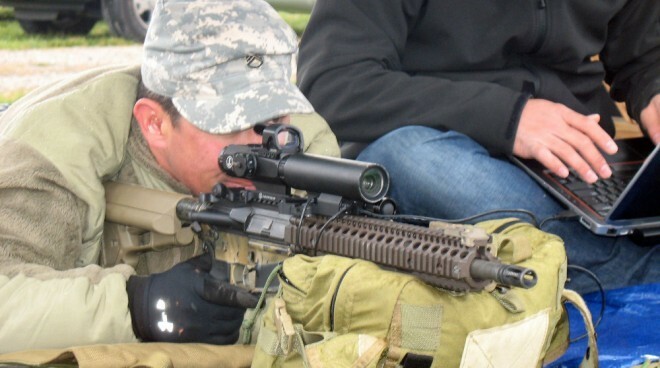 This technology has the potential to change optics in many fields, not just rifle scopes – but that is probably a ways off. 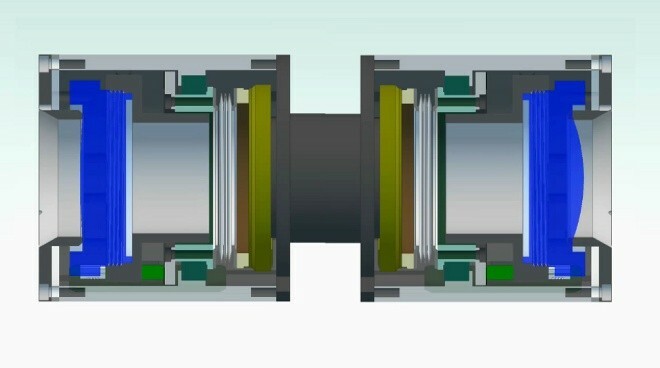 As a Federally Funded Research and Development Center, Sandia’s first loyalty is to the Federal government, which will likely quarantine this technology for military use for some time, and even without that factor the increased cost of the new technology will likely preclude its widespread use in the near future. But it’s on the way, and it’s way cool.